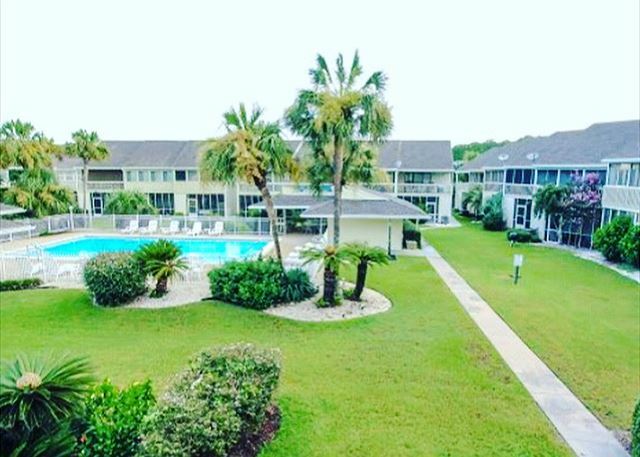 Aptly positioned a filp-flop walk to the beach and Pompano Joe’s Seafood House, this spacious two-story townhome is ideally located for your beach vacation. 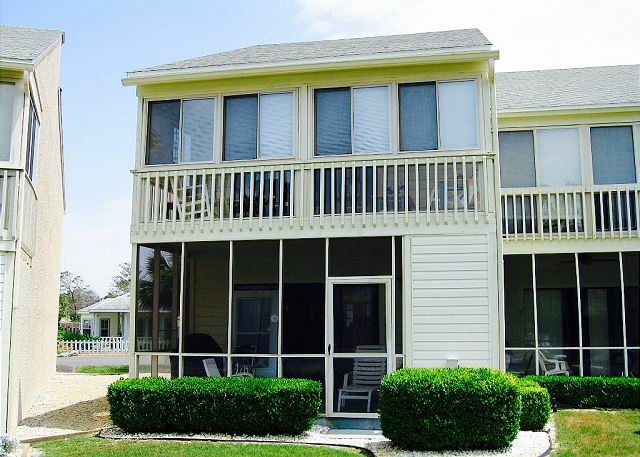 Misty Cove offers two bedrooms, two and a half baths, a large living area and screened in patio off the main room. 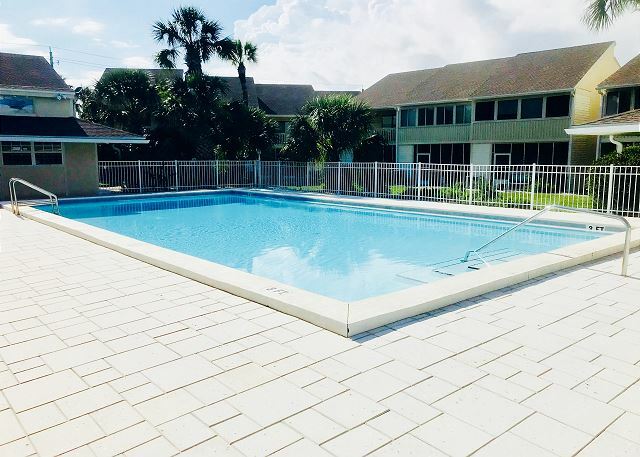 The community pool is conveniently located directly outside your back door. Large master bedroom with vaulted ceiling, queen bed and master bath. Outside sliding glass doors from master bedroom are two single beds. Guest bedroom has two double beds and its own bathroom as well. Spacious kitchen, dining room, living room, 1/2 bath, laundry, and enclosed porch on the main level. Kitchen has all the conveniences of home with dishes, silverware and all appliances large and small. All linens provided. Large beautiful community pool and grounds. See you at the beach!!! Great place to stay and check in and out was very easy. I arrived early and they let us check in early with no extra pay. 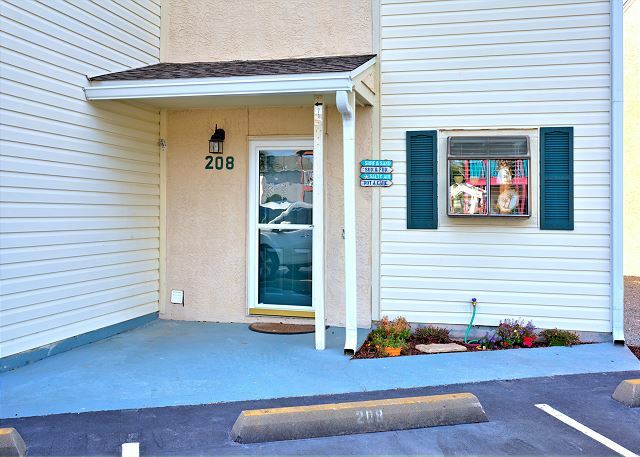 We had no trouble getting into our unit, it was very clean and had everything we needed. Will definitely come back! Nice townhouse a few blocks from the beach. Property was very clean upon our arrival. It was nicely furnished and there was enough room for all of us. I will say that due to the Florida heat,the bonus room off of the master suite can get hot. But overall, we have no complaints and look forward to coming back there. The pool was directly across from the back door. When we texted Ms. Price about an issue with the wifi due to the weather, she literally responded within ONE minute!! It's good to know that you are dealing with an actual person. We would definitely stay at Misty Cove again. 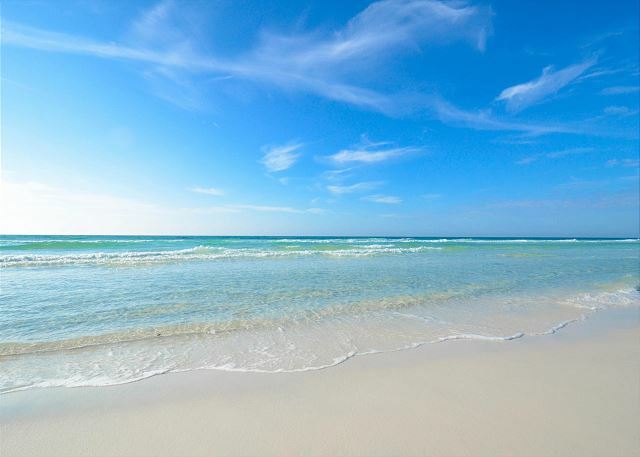 We had a wonderful time in Florida, I would recommend this place, everything was according the description, very clean, quiet place you can walk to the beach, we came early and could check in, also we had to leave late and the owner was very understandable we appreciate it. We were happy with our stay at Misty Cove. We appreciated all the space; each bedroom had its own bathroom, there is also a half bath downstairs, plenty of sleeping space, and the pool steps away and within sight. The beach was a short walk, and public access parking close by. We will certainly recommend to others! Very enjoyable family vacation. Home is lovely. Comfortable and convenient to activities and the beach. Only one small recommendation, we used the twin beds off the master, and because it gets direct sun, it gets very hot. Maybe some light blocking curtains and better air conditioning would help. All in all, a wonderful time and lovely home!